Place a topic in this forum to introduce yourself and find a little advice. Me and my hubby are both young pilots with a little one- Just looking for some idea's and career advice... me, I never really got started, I'm a 250 hour wonder... He has a little more... 800 hours... 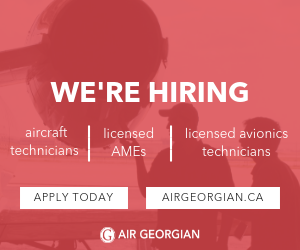 Both of us are out of jobs (aviation that is) for the winter - looking for advice in the spring! I have a 17 month old daughter. I have been working in the medevac world. My family and I have been making this work (my wife doesn't work). I worked a 1-on-1-off schedule and will be beginning a 2/2 starting soon. It is difficult being away from home for a week at a time but my week off is worth it's weight in gold. Once a toddler reaches about four, they have enough lower body strength to be able to carry about 200 copies of the Yellowknifer. Because kids are cute, they generally never have to make change, so they will be ahead that way. The closing of Giant Mine makes things harder for you, but I think Diavik will take child workers on rotation after about age six. Or did you mean jobs for you and your husband? just curious wrote: Once a toddler reaches about four, they have enough lower body strength to be able to carry about 200 copies of the Yellowknifer. Because kids are cute, they generally never have to make change, so they will be ahead that way. The closing of Giant Mine makes things harder for you, but I think Diavik will take child workers on rotation after about age six.